Survive the Night. Suffer the Day. Every day, I pray my sister survived the wasteland--and that the bond between us will be enough for me to find her. One hundred and sixty-seven years ago, a solar coronal mass ejection devastated civilization. In the blink of an eye, modern technology died. Destroying the grid might not have brought about our end, but the solar superstorm blighted the land and made us sick. After the crisis, lawlessness ruled, and societies fell. This is the hellish world my sister Ash and I grew up in. If it's not the landscape trying to kill you, the wailers who roam the wasteland at night will. Now our home, The Park, teeters on the brink of extinction. When the annual shipment of supplies from Low Tide outpost failed to arrive, my sister led a small scouting party to find out what happened. But she never came back. No one did. I can either hope for a miracle or mourn her for dead. I can't live with either option. The elders won't let me leave. But nothing will keep me from Ash. The unexpected arrival of The Dead Troupe--part-nomads, part-performers--offers an unexpected opportunity to find her. Now I just need to survive the sunburnt earth where the wailers roam and none but the Dead Troupe survive. 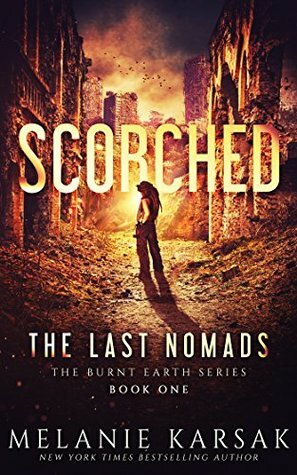 Join Keyes in her search for Ash in this post-apocalypse CME fiction with solarpunk and steampunk elements, Scorched: The Last Nomads, The Burnt Earth Series Book One. Melanie Karsak’s Harvesting series absolutely blew me away with it’s dystopian story of a group of small town people struggling to stay alive when everything was throwing it’s worse at them. 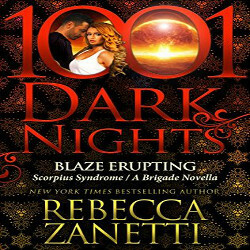 It was exciting, full of action, yet romantic at times, and kept me on the edge of my seat for most of the series. Well, Karsak has done it again and re-imagined a completely different sort of dystopian world, one that kept me turning pages and on the edge of my seat for most of it. Keyes is a young woman that has lived her whole life behind a fence of high walls in the community called, The Park. It’s a world that has been devastated by a solar coronal mass ejection one hundred and sixty seven years previously. There’s few people left and even fewer safe places. At night the wailers come and hunt for food-otherwise known as humans. These are people that changed after the solar event. They are little more than monsters. Keyes has a sister named, Ash, that has gone on a journey for supplies to another town, Low Tide. She’s been gone far too long and Keyes knows that something is really wrong. The elders won’t let her go to Low Tide, but she’s not going to let that stop her. When the Dead Troupe comes for a visit and to perform, she is able to catch a ride with them when they leave. Keyes was a different sort of character. If she lived today, she would probably be an engineer or inventor. She’s the one that fixes anything mechanical and finds ways to help her community survive. She’s smart, attractive, and extremely loyal to Ash, her only family that is left. Bodi is a member of the Dead Troupe. He is charismatic and devastatingly handsome to Keyes. They become attracted to each other and it was interesting to see Keyes interact with a man after being in the same small community for her lifetime. She’s never been interested in any of the men she knew from her childhood, so this is an exciting time for her. The other characters from the Dead Troupe are way more interesting than anybody from her community as well. They live a truly nomadic life and Keyes can be a big help to them in their survival. As her usual, Karsak’s world building was amazing. I felt like I was right there, looking at the burnt earth and the world made up of very little color. All around Keyes are vestiges of a world long gone, a world that Keyes has read about in the few existing books and even menu’s from restaurants. She longs for a cheeseburger, fries, and a milkshake and can’t even fathom what that would taste like. This is a world that is no longer slowly dying, it’s dying at a much faster rate. And it’s not just the wailers, the climate(heat), and the lack of food or water purification. It also just might have a human component helping with some of the misery. I literally want book two, NOW. And it’s not out yet. 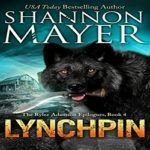 I thought this book was amazing, the writing well done and the pacing was perfect. The only thing I didn’t like? It was too short and I wanted more. 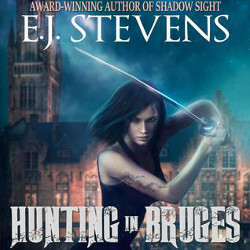 Highly recommended to lovers of dystopian stories and/or urban fantasy and maybe even paranormal romance. For ages 14 plus at this point in the series. YES! I am wanting the next book as well. I always enjoy her books no matter what genre she tackles. 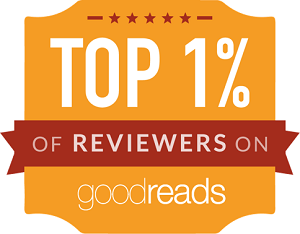 You are the reason I read this-thank you! She is a good author! I’m not sure how I missed this book but it definitely sounds like one I need to read! Glad you loved it so much and I hope book two will be just around the corner for you! 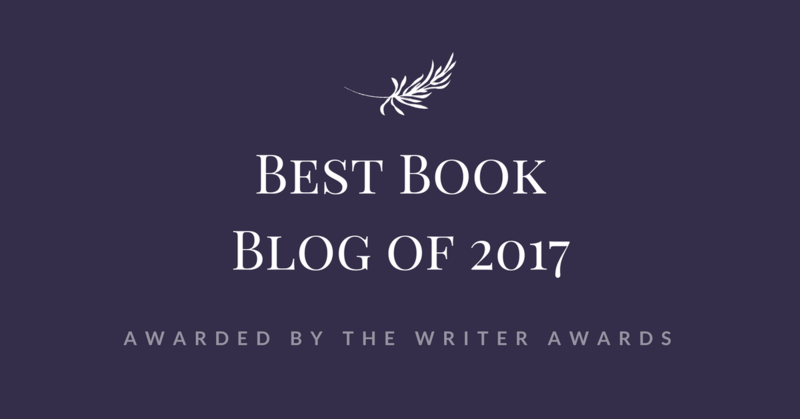 kindlemom1 recently posted…Best of 2017 in Mysteries and Thrillers! Might be awhile waiting since this hasn’t been out long, but I am sure it will be worth the wait! Always a good sign when you’re dying to get your hands on the sequel. Hi, Joy! I did have a good holiday season, hope you did as well. Thank you! Just the way this one impacted you has me eager for my own try at it. The background and descriptions and the characters all sound brilliant. I think you would really enjoy it Sophia. This and her Harvesting series are both amazing. This sounds really great. I love a good dystopian story. Great review. Have you read her Harvesting series? Amazing, with paranormal aspects as well.